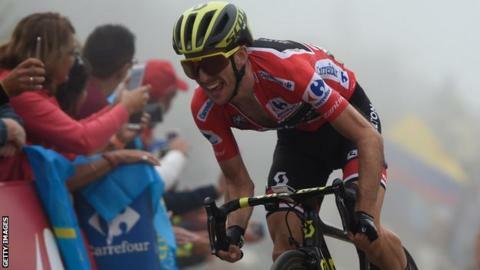 Britain's Simon Yates increased his lead at the Vuelta a Espana as Rohan Dennis earned a convincing win in Tuesday's individual time trial. "Everything went according to the plan," said Dennis. "I wanted to have a good crack on the hills and then control that final flat section as well as possible." Wednesday's 17th stage is a 157km road race from Getxo to Alto del Balcon de Bizkaia, with three mountain stages to come in the final five.